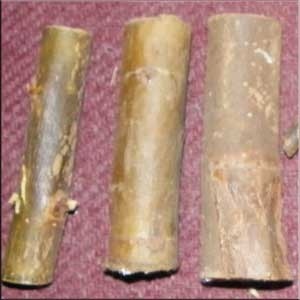 Mineral rich, natural pain releiver, diarrhea and stomach discomfort. "Potato Chips" for rabbits! Feed one leaf or the whole wreathe. Also willow sticks, logs and rounds. Rabbits will chew the bark off first and then munch on the inside for weeks. Willow may be fed fresh or dried. Be careful to dry it in a cool dry dark space and avoid ove crowding which can lead to mold development. 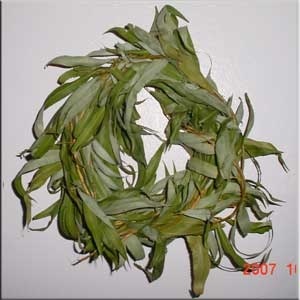 Willow wreathes and sticks are available in our shopping cart.